REVEAL whats on HIS/HER mind?Their Intentions are? World Wide Renown POWERFUL CONNECTION*Reunites RELATIONSHIP if possible because everything is possible!/accurate answers regarding your future/love/Relationship/Life/ Predictions have come to pass for many and so can yours.. IMPORTANT: We are here to help. We are here to give you the info to help YOU make decisions for YOUR life. We can NOT live your life for you. PLZ don�t ask me to tell you what to do .. we can only guide you.. not tell you what decisions to make. While doing these readings is my livelihood my motive is NOT about money alone. My first priority is being your advocate and showing you the path that is best for your own benefit. If I do not feel my readings are of help to someone I will be upfront and let them know it. All I ask in return is for my clients to listen to the advice they ask for and trust in their own ability to make decisions and remember that they hold their own destiny in their hands. I cannot tell someone what to do, but I can tell them what each choice can bring to them. Free will plays a big part in every reading and this is why I NEVER give specific timing or dates. Every one has their own free will to make changes to their paths and this can change the timing of a reading to come to pass sooner or to delay. Nobody is in charge of timing but we all have our own free will and if you remember that you will be in control and understanding why things happen when they are meant. Bringing clients peace of mind for over 30+ years professionally. I can bring you peace of mind too! 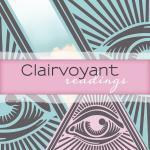 To begin your Live Psychic Reading with StarzSpiritualWisdom Click Here.
" So I get an email from this wonderful person warning me about someone so I asked more questions and everything she said made sense. She warned me that I might be upset by someone -totally spot on. Someone I was close with or thought I was close with turned on me. I�m very thankful for the warning and I�m still smiling! Thank you! " " Wow is all I can say. Blown away by what she had told me. She even told me about things I did not ask about, but that made me feel so encouraged and empowered. Thank you very much. Definitely made my day! " " Amazing reading. Picked up on things immediately, kept typing to ensure I heard everything and was very comforting. I highly recommend her!" " Thank you sooo much! I only had to give my date of birth and name and it was like you knew my whole story without saying anything. So munch information and really quick responses. Thank you. So much to look for ward to. Xo"
" AMAZING! Picked up on things that I didnt even say. truly was amazing and will be looking forward to everything that we talked about." " Picked up person in question very well and gave some great insight . No information required , didn't waste time and was straight forward . So if you're reading this you and book a reading you definitely will be glad you did . Lots of clarity .TY "